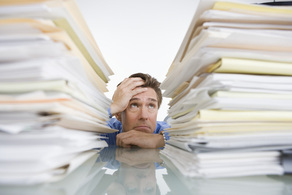 Let us help you save time and money on producing Statement of Advice documents. As a group of paraplanners who have serviced all the major dealer groups & who write thousands of advice documents each year, we are excited to offer Statement of Advice templates to help your business. What template will I receive? Is it 100% complete? Our business aims to provide a service that sits between building your own Word template and using complex financial planning software. You are purchasing a base Statement of Advice template with the majority of text you need shown in black and red. Black text is generally not changed and red text is changed according to your client needs. We estimate that this type of document will save you time through the written prompts within the document. Where do I buy these templates? See our Statement of Advice template page or our Strategy Text template page. Is the created template compliant? Although this template is used in many businesses, we are unable to provide a guarantee that it will meet your specific dealer group requirements. We ask that you have the template vetted to ensure it meets your legal requirements. We offer dedicated customer support via email or phone. Have a question before signing up? Ask Us Anything! SoA Template - bought to you by the team behind Advice Office and Paraplanner. Looking for File Note templates or Record of Advice templates?